Cancer refers to uncontrolled growth of abnormal cells in any part of the body. 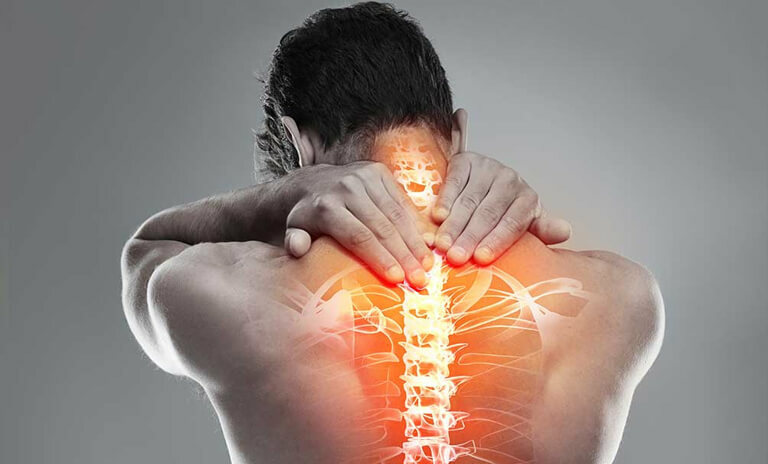 When found on the spine, they are known as spine cancers and can be located either in the spinal canal or on the vertebrae of the spine and known as extradural spine cancers. About 90% of the spine cancer lesions are metastatic in nature and have spread to the spine form some other locations. In women, it’s usually from the breast or lung cancers and in men, it could have spread to the spine from the prostate. Multiple myeloma is another type of metastatic cancer that can spread to the spine. The spinal cord and the brain make up the central nervous system. The spinal cord is enclosed within a stack of small bones known as vertebrae which make up the spine. Any growth within these spines can destroy the surrounding tissue, impinge on normal body functions, create pain and spread to the brain and peripheral nerves too. They can also weaken the vertebral bones resulting in fractures, instability of the spine and spinal cord damage. Cancers that originate within the spine are categorized as primary spine cancers and include chordomas, osteosarcomas, plasmacytoma and giant cell sarcomas; cancers that have spread to the spine are known as metastatic or secondary spine cancers. All spine cancers however, can lead to permanent disability or death if not treated in a timely manner. Spine cancers need an aggressive multi-disciplinary approach for their treatment to prevent further damage to the nerve system. It requires a team of expert physicians and surgeons to decide on the treatment regime which could include chemotherapy, radiation therapy or surgery. Modern types of surgical techniques including microsurgery, laser surgery and CyberKnife radiosurgery can be used along with spine stabilization techniques like vertebroplasty or corpectomy to correct functional mobility and reduce pain.